Hampshire Mezzanine Floors provide a number of different storage options for within a office. We can design your requirements to maximise the space you have available. 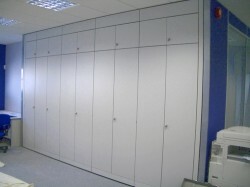 A good use of space in an office is to have cupboard walling fitted. Cupboard walling is available is multiple heights and widths to blend in with your office furniture. Hampshire Mezzanine Floor can also supply stationery cupboards which are available in 3 heights and a choice of Goose Grey, Black or Coffee Cream finishes. 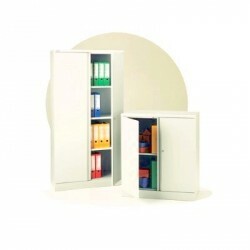 They have double door units which are supplied and fitted with shelves and are ideal for storing everyday files and stationery items. We also do tambour units, which are manufactured with a welded carcass for greater strength. Accessories include standard shelves and lateral filing rails. Most of our storage equipment comes complete with a 5 year guarantee for peace of mind. Hampshire Mezzanine Floor supply filing cabinets manufactured to meet British Standards for strength and stability. 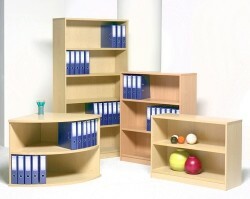 They are high quality cabinets at economical prices. The come fitted with an anti-tilt device that prevents more than one drawer being open at any one time. They have a modern swan neck, flush, anti-snag handles and stock finishes include Coffee Cream, Goose Grey and Black. 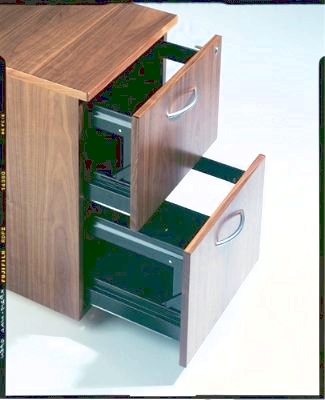 Our filing cabinets are smooth, easy running fully opening drawers and complete with central locking. We provide these filing cabinets with a 5 year guarantee. Our bookcases are an affordable office storage solution. They are available in Oak, Maple or Beech and various sizes to suit your furniture layout. The number of shelves you choose is optional.